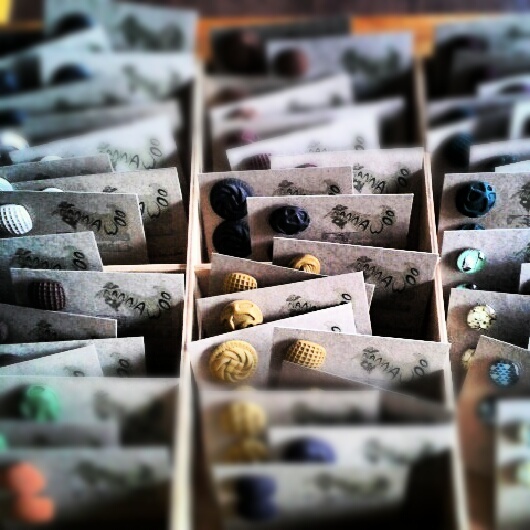 I will be bringing along newly blended colours of clay vintage button earrings, my signature re-usable stitched cards and of course some lovely warm superfine merino neck pieces, just in time for what is left of winter! 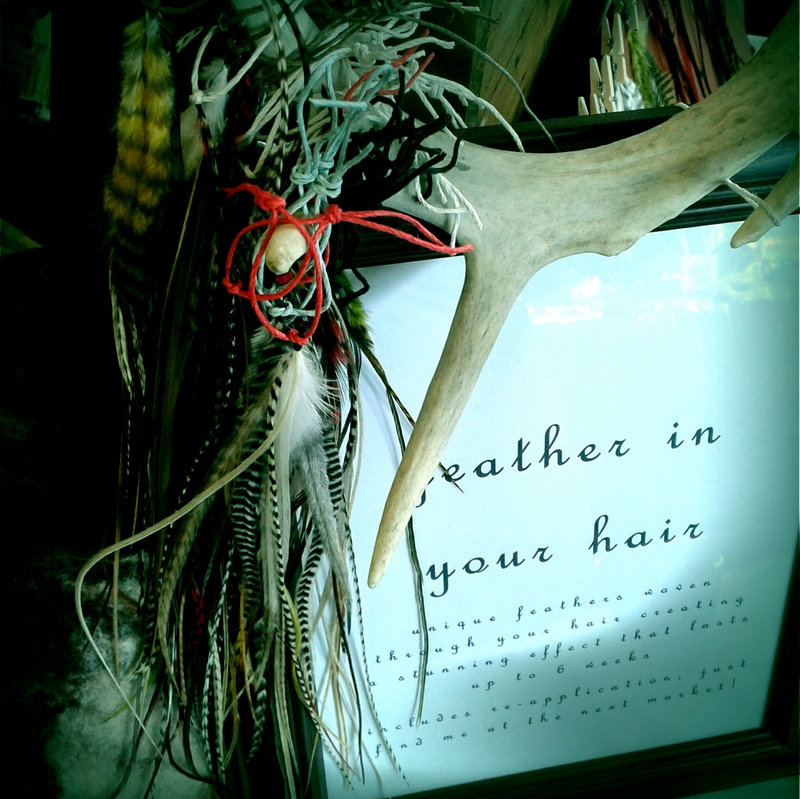 New to my stall is the stunning range of “feather for your hair”. These feathers will be applied to your hair on the spot and the attachment lasts for about 6 weeks and the feathers last pretty much forever! They come as a single feather up to a cluster of 6 feathers that I have arranged myself. Or you can choose your own combos and special deals for lots of feathers! With the purchase, you will be getting unlimited re-application in your hair for free, you just need to find me at the next market and I’m happy to pop them back in for you! Hope to see you at The Old Woolstore!